We’ll arrest those who have broken the law at Msunduzi. 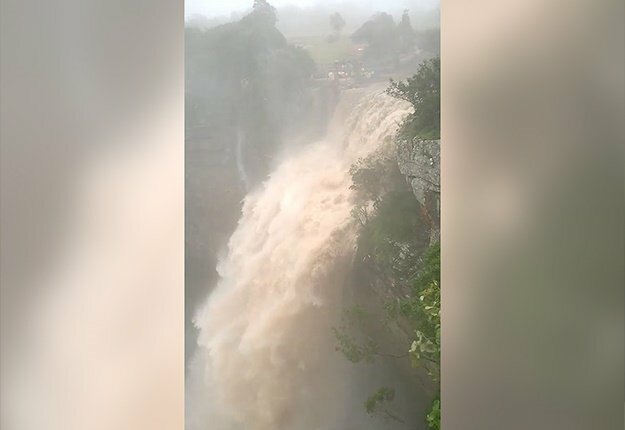 That was the message Co-operative Governance and Traditional Affairs (Cogta) MEC Nomusa Dube-Ncube, used to assure Msunduzi residents that action will be taken against officials responsible for the collapse of Msunduzi Municipality. Addressing residents during a heated community meeting in Caluza on Friday, Dube-Ncube said municipal officials or any other person found to have done wrong things during the council’s shambolic tenure that culminated in Msunduzi being put under administration, will be held to account. “We won’t ignore any of the wrong things that happened in the past: those who broke the law will face criminal charges and those found to have failed to perform will face disciplinary action. “When we start acting against certain individuals for what happened at the municipality, we would expect you to give us your support,” she said. Dube-Ncube had gone to Caluza to explain to residents why the provincial government put Msunduzi under administration. Poor management at the municipality coupled with corruption and a lack of political oversight created hardship for residents, who were deprived of services from waste disposal to water supply as a result of short-comings within the council. 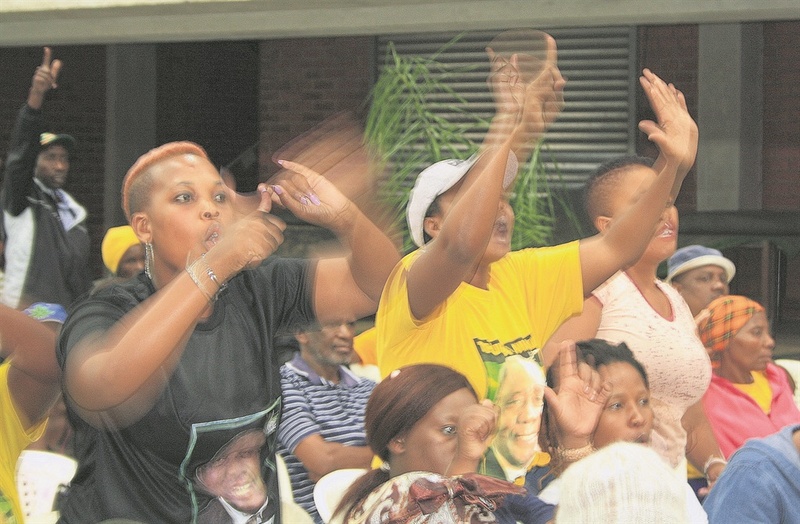 The residents’ anger about Msunduzi’s poor service delivery spilled over into Friday’s meeting, with the community venting their anger at the ANC leadership. At Friday’s meeting, Dube-Ncube and the government delegation comprising Msunduzi Mayor Themba Njilo and uMgungundlovu District Mayor Thobekile Maphumulo that had accompanied her, bore the brunt of the community’s anger. Thandi Mdluli, an Imbali resident, accused Dube-Ncube and her delegation of being disingenuous. “We have been writing letters to you requesting a meeting so that you can hear our problems — you ignored us. “I don’t believe that the reason you are here today is to update about the municipality — you are here because of the elections. We are not fools who believe you are here to talk about the municipality being put under administration,” she said. Maphumulo, who was heckled, got the crowd incensed when at the beginning of the meeting she told the residents that government was not an employment agency. Sthembile Ndlovu, a local youth whose Expanded Public Works Programme (EPWP) six-month employment contract was not renewed, used the event to vent his anger at the government delegations. “During elections we campaign hard for the ANC so that the likes of you can get these senior government positions that you currently occupy but once you are in office you only give us these useless EPWP jobs that don’t even last a year. “You are saying we must be happy with these temporary jobs and yet you yourselves get these highly paid jobs which you don’t want to leave — you want to occupy these senior government positions forever. “If you ignore our grievances like you normally do then you should know that we are not going to vote,” she said. When the programme director, Lennox Mabaso, who is also Dube- Ncube’s spokesperson, attempted to do some damage control by asking the residents to be brief when highlighting their concerns, the speakers defied him. “No, no, you can’t tell me to be brief because the problems that I encounter on a daily basis as a direct result of the attitude of the ANC leaders that we elect to government are not few — we have a long list of problems and we want the MEC to hear them out,” another resident, Sthe Zulu, said. In response Dube-Ncube told the community that she would forward their complaints to the relevant government departments. “We will ensure that all the issues that you raised will be attended to,” she said. She appealed to the community to vote in the upcoming May 8 elections. “Yes, as government we made some mistakes and we are owning up. “While we failed you in some areas, we also brought some developments to your areas — the developments that were not there during the apartheid period. “If you don’t vote, then you are creating an opportunity for those people who don’t want to see development coming to previously developed areas to take over government,” she said. Meanwhile, the Organisation Undoing Tax Abuse (Outa) has welcomed the decision to place Msunduzi under administration. “The government must prove itself to the people by making this intervention a success,” said Tim Tyrrell, Outa’s provincial manager for KwaZulu-Natal. Addressing residents during a heated community meeting in Caluza yesterday, Dube-Ncube said municipal officials or any other person found to have done wrong things during the council’s shambolic tenure that culminated in Msunduzi being put under administration, will be held to account. The residents’ anger about Msunduzi’s poor service delivery spilled over into yesterday’s meeting, with the community venting their anger at the ANC leadership. At yesterday’s meeting, Dube-Ncube and the government delegation comprising Msunduzi Mayor Themba Njilo and uMgungundlovu District Mayor Thobekile Maphumulo that had accompanied her, bore the brunt of the community’s anger.